WASHINGTON, DC, May 14, 2013 (ENS) – Southern California Edison’s request to restart its San Onofre Nuclear Generating Station will be decided by the Nuclear Regulatory Commission only after a formal license amendment proceeding with full public participation, an adjudicatory panel has ruled. 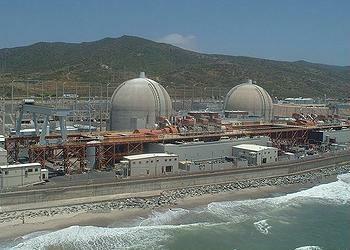 San Onofre is located on the Pacific coast in San Clemente, in a seismic and tsunami zone. The power plant has been shut down since January 2012 after a leak of radioactive material led to the discovery of unexpected deterioration of tubes in the plant’s new steam generators. A three-judge panel of the Atomic Safety and Licensing Board today granted Friends of the Earth’s petition for a hearing on the NRC’s Confirmatory Action Letter process covering steam generator issues at the San Onofre nuclear power plant. Southern California Edison had asked the NRC for permission to restart the Unit 2 reactor by this summer and run it at partial power – a request the agency had indicated it would grant with no prior public hearing. “This ruling is a complete rejection of Edison’s plan to restart its damaged nuclear reactors without public review or input,” said Damon Moglen, energy and climate director for Friends of the Earth. “The ASLB has announced that the restart plan is an ‘experiment’ and calls the tube wear at San Onofre’s defective steam generators ‘unprecedented,’ as we have asserted all along,” said Moglen. Southern California Edison must now undergo a trial-like license amendment process before a judge, including public hearings, sworn testimony from expert witnesses and rules of evidence. 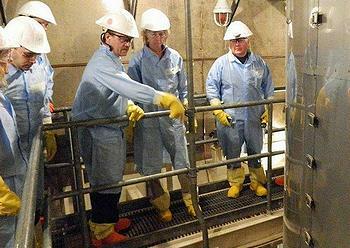 Personnel at San Onofre discovered unexpectedly severe levels of wear in the pressurized water reactor’s steam generator tubes in early 2012. Inspections and testing showed wear in the steam generator tubing in units 2 and 3. Engineers determined that the unexpected wear was associated with excessive vibration of the tubes in certain areas of the steam generators. Unit 3 had more than 300 tubes with the unexpected tube-to-tube wear; Unit 2 only had two tubes exhibiting minor tube-to-tube wear. The Nuclear Regulatory Commission determined that computer modeling during the design phase by the manufacturer, Mitsubishi Heavy Industries, underpredicted the thermal hydraulic conditions in the steam generators which contributed to the unstable tube vibration. The unstable tube vibration caused the unexpected wear in the steam generators. Both units of the power plant are currently offline. Unit 2 was taken out of service January 9, 2012, for a planned outage. Unit 3 was safely taken offline January 31, 2012, after station operators detected a leak in a steam generator tube. The NRC issued the Confirmatory Action Letter in March 2012 to ensure the plant’s owner would explain and account for the steam generator wear before the plant could restart. In June 2012, Friends of the Earth asked for an adjudicatory hearing on the restart. The commission instructed the Atomic Safety and Licensing Board in November 2012 to examine whether the NRC’s procedures mandated an adjudicatory hearing in this particular case. On March 22, the board heard arguments from Southern California Edison, from Friends of the Earth, and from NRC legal staff. Southern California Edison applied for a related license amendment on April 5, 2013, and the NRC issued a Federal Register notice on April 16, providing the public with the opportunity to request a hearing. “It is a comfort to me that the safety board stood up for what is right,” said Senator Boxer. “Given that the NRC commissioners asked the Board to undertake this review and given that these judges were appointed by the NRC, I expect the commissioners to follow their lead,” said the California Democrat who chairs the Senate Environment and Public Works Committee that oversees the NRC. The Board’s ruling requires a license amendment because the restart plan is an ‘experiment’ under Section 5090(ii) of NRC regulations, which would allow the unit to operate beyond the scope of the existing license and without compiling with applicable technical specifications. Southern California Edison says a team of internal and external steam generator experts has prepared corrective action, repair and operation plans to ensure SCE meets the required safety standards. Should San Onofre remain offline beyond 2014, the company says it would need to consider a combination of new generation resources and new transmission lines in Los Angeles and Orange counties.